A Secondary School Student Council was established at Haut-Lac International Bilingual School in 2005. It provides a basis from which to actively learn important life skills, such as effective public speaking, attentive listening, teamwork, emotional intelligence, problem-solving, moral reasoning, self-esteem and confidence. The School Council experience provides a dynamic foundation for learning about citizenship and democratic procedures. It enables pupils to have a voice and to understand that their opinions count. The Student Council has become an integral part of the Haut-Lac community, and has made our school better in many ways. In our experience, the council gives pupils the opportunity to get more involved in how our school is run. To give children a voice and a say in decisions that will affect them. Students who feel they them, work with them and encourage others to do the same. To enhance personal and social skills. Leadership is a skill that becomes more and more valuable as your child gets older. The council is a safe and supportive place to practice leadership and learn from others. To develop citizenship and understand democratic procedures. We believe that there is no better way to learn this fundamental lesson than to experience it first-hand. To promote and improve school as an international community. The Student School Council is made up of House Captains, Vice-Captains and Ambassadors from each House. Please refer to the House System page for more details on our secondary school House system. Two presidents (1 boy and 1 girl), a treasurer, and a secretary are elected each year to coordinate all Secondary School Council activities. The council meets once every 5 weeks. Prior to every meeting, the council leaders determine the meeting agenda. It is the responsibility of all council members to gather the concerns and suggestions from other students in their House, so that their interests are properly represented. Accurate minutes are taken during the meeting and distributed to the whole student body in House assemblies. Meeting preparation and minute keeping are great ways for our council members to practice project management, coordination and communication skills. The Secondary School Council also organises secondary school social events, such as the Christmas party and the Summer Ball. The students involved thus learn to plan and run large-scale events of their own design. Through running for and serving as a Secondary Student Council member, our students get valuable life experiences and develop key skills. Here are just a few. Student Council members represent their classmates. This is a great opportunity to expand their skillsets in compassionate listening, seeing things from another person’s point of view, and considering other people’s needs when advocating for a decision. By hearing about issues and possible solutions from the perspective of students, parents, administrators and teachers, Student Council members get an early glimpse of what it is like to make decisions in a complex world that is anything but black and white. In choosing to run for the Student Council, a student must reflect honestly and deeply on his or her strengths and weaknesses in order to choose the right position for him/her. This provides an opportunity to assess which roles are a natural fit, and identify shortcomings that need more work. Most adults report that they have some degree of fear when it comes to public speaking. While the nervousness may never go away completely for most of us, early practice and reinforcement can make a difference for your child. 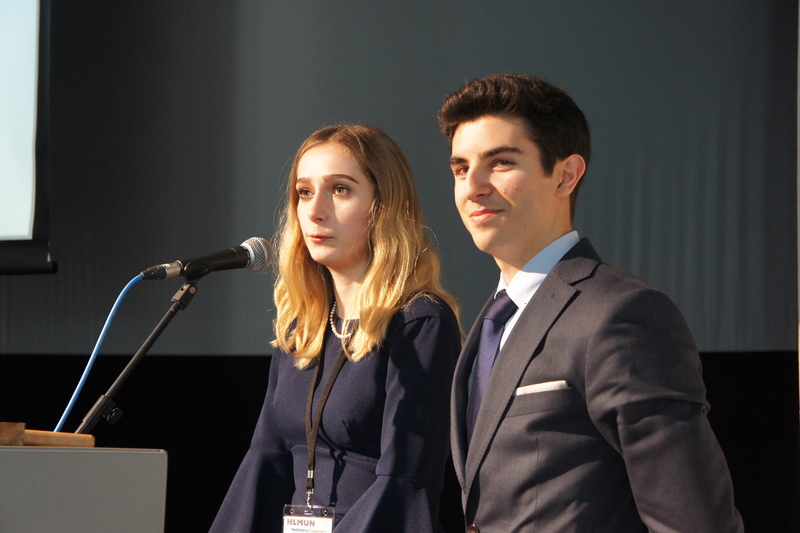 In the process of running for Student Council, students practice taking the stage, introducing themselves, connecting with the audience, conveying their ideas clearly, and managing their mental game in the process. Not everyone who runs for the Student Council wins, but every student benefits from the experience. Accepting a loss with grace, learning from mistakes, and developing the resilience to try again are invaluable life skills.